By “urbanized” is meant, increasingly, not just or necessarily, people who reside in cities, or places with physical “urban” characteristics, but those who perform urban “work.” Indeed, work, or more specifically, the division or specialization of labor, is central to the definition of urbanization. Permanent settlements both enabled and necessitated the expansion of different forms of work. Even at the most rudimentary levels of urbanization occupations expanded exponentially: crafts for storage of products, such as pottery and baskets, scribes to maintain records, building trades, and the beginnings of administrative functions, were among the first new “jobs” of the city. Various cities were founded upon some industry or economic activity, the location of particular natural resource, for example, as in the case of the Turkish city of Catal Huyuk, established in 6800BC as a “manufacturing” center for products made of glass-like obsidian. It was the precursor of Silicon Valley. The specialization of labor, assisted by the development of tools and technologies that increased efficient productivity and created surplus products were characteristics of the earliest cities that remain the fundamental features of contemporary urban economics. Manufacturing created new specialties: tool makers, suppliers of raw materials, fabricators, assemblers, etc., and subsequently those concerned with retailing and trading finished products. Record-keeping required the new occupation of clerks and scribes. Trade itself engendered new occupations associated with transportation of products. Regionalization, the precursor to today’s “globalization,” first bringing about the expansion of agriculture to accommodate the food and fiber requirements of the increasing number of workers engaged in non-agricultural occupations, and then the colonization of other territories that functioned as markets, related manufacturing centers, and distribution points on the expanding trade network. By the late 19 th century most of the necessary preconditions for the rise of the large industrial city were in place. The dynamic forces of industrialization and urbanization were reciprocally nurturing and grew up together. The social effects of origination of cities and urban economies and trade are too extensive and profound to even enumerate, much less discuss. It might suffice to say that it changed—and continues to change—two sets of relationships: that between Man and Man, and between Man and Nature. Relationships between men, women and children were profoundly affected by the urban economy. New forms of property, among them the new knowledge and skills fostered by industrialism, were created that vastly changed relationships between social classes. Virtually every social institution: Family, Religion, Government, Warfare, Education, was changed and continue to change. Moreover, Mankind’s relationship to Nature, once passive and benign, now turned exploitative. The Environment became a factor of production; forests were cleared, rivers dammed, mountains mined, and the “gods” that once resided in them were replaced by a monotheism that “gave” mankind authority and dominion over the earth. The “environmental issues” of today are an outgrowth of attitudes toward Nature that were shaped in the very first cities. The dividing of labor into various specializations produced an efficiency of production that could not have been achievable in non-urban society. As specialization produced surpluses these surpluses could be employed in the next stage of economic development: trade. Trade would bring increased wealth to the urban community that would express itself in the expansion of other types of economic activity, particularly services, that would produce increased levels of labor specialization. This relationship between the income produced from trade and the services it produces is referred to by economists and the multiplier effect: a generation of economic activity produced as money is circulated and re-circulated throughout the community. As technology developed—the harnessing of power and the invention of efficient techniques for the production and distribution of products and services—all these economic functions accelerated. It is also noteworthy that manufacturing was also instrumental in the “mechanization” of time. With the development of urban economies, that were more complex and in their necessity to orchestrate, integrate and manage the diverse forms of labor and other factors of production that the clock replaced the “natural day” as the prime regulator of time. The factory did not need to conform to the circadian segments of the day as did the farm and the pasture. Steve: What the hell is silicon? Mr. McGuire: There’s a great future in it. 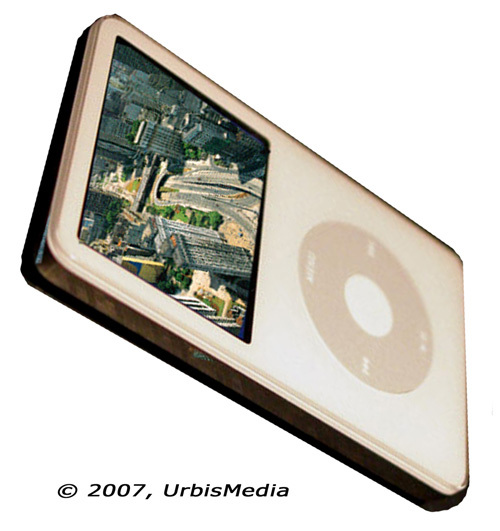 IPods:10,000 songs, and only the size of a pack of cigarettes. Will you think about it? The development and the use of technology predate cities. Humans developed simple technologies such as the bow and arrow, throwing stick, and other “tools” many millennia before cities were founded. Such technologies might be referred to a “bio-technic” in the sense that they were derivative of and composed of elements found in nature and involved little “manufacture”. The technologies of the first great revolution in human history—The Agricultural Revolution—were primarily bio-technic and mechano-technic. The second Agricultural Revolution of the 19 th century was a result of the of capital substitution of labor brought on by technologies that made the sewing and reaping of agricultural produce more efficient. More advanced forms of technology, for example, the shaduf, a device used to elevate water from rivers for irrigation purposes, employed the lever, or even a screw, to more efficiently perform the function. Such technologies, which appear to bridge pastoral and nomadic and early urban societies might be classified as “mechano-technic” and cover a large range of technologies ranging in sophistication to the internal combustion engine and the movie camera. The Industrial Revolution that began in the English midlands in the late 1700s was predominantly a mechano-technic revolution. Today, we take almost for granted “electro-technologies” whose operational properties might take place in the invisible world of the mirco-chip at speeds that make the piston movements of an internal combustion engine seem like slow motion. Indeed, it is not beyond the bounds of imagination, and even possibility, that technological functions might one day be performed with wholly different physical properties and energy, as in the “technology” of psycho-kinetics. Still, “bio-technics” may be yet again play a role, albeit a more sophisticated and complex role, in human social evolution, as recombinant DNA and other “techniques” of genetic and other biological “engineering” emerge with great promise and portent. The fusion of mechanics and electronics in the form of artificial limbs or organs, or the prospect of “nano-technology,” further blurs the traditional distinctions between and among different “technologies”..